Nobuyuki Fukumoto is a Japanese manga artist well known throughout Far East for his unique original gambling ideas, deep psychological analysis of characters and distinct artstyle. Yakuza and gambling are recurring themes in his manga. In English language countries, he is most famous as the author of Akagi, a mahjong-related manga. 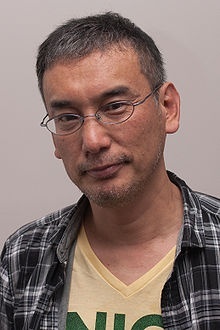 In 1998, he won the Kodansha Manga Award for Tobaku Mokushiroku Kaiji. An onomatopoeia "zawa" (ざわ‥), meaning uneasy atmosphere, appears frequently in his comics and is considered Fukumoto's trademark.